We all know how much I love coffee. Not a day goes by where I don’t have a cup of the golden brew. Not a week goes by without a relaxing breakfast or brunch which involves at least 2 cups of coffee between the Boy and I. 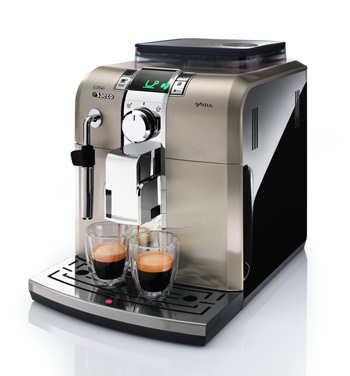 Ever since I bought my Nespresso coffee machine and received my Phillips Saeco Exprelia, I have been having a minimum of one coffee a day at home. I love the ease of using these two machines or my coffee robots as I like to call them. They are easy to clean, easy to use and produce much the same quality of coffees as most places minus the fancy coffee art 🙂 Alright, alright, I kid. I am no professional barista nor do I profess to be one. But I would love to be able to froth milk just like one. Using our coffee machines, we have been able to froth milk well, but not to the same level as when a professional barista does it. We have used a few different types of milk as well, from full cream milk to soy milk and to almond milk with the results always the same. It just isn’t as frothy or velvety. So when I was contacted to review Devondale’s Barista’s Own Frothing Milk, I got a little excited and bought two cartons from my local Safeway. I found it pretty easily in the long life milk aisle. The packaging really stood out and attracted my gaze to it as all the other milk brands surrounding it were light coloured. Once I got home, I stored the milk carton in the fridge as chilled milk froths better. 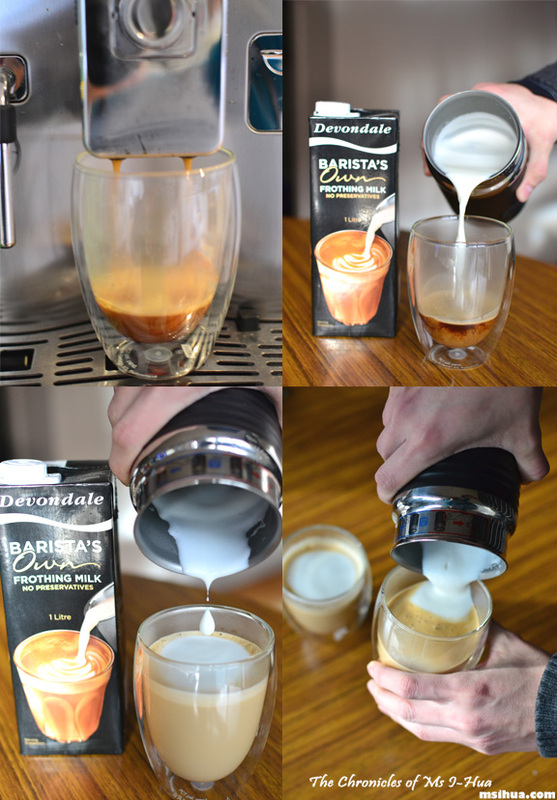 Devondale Barista’s Own is specially selected to deliver a consistent smooth creamy froth to any style of coffee at home. I had to test this to see if it was true. 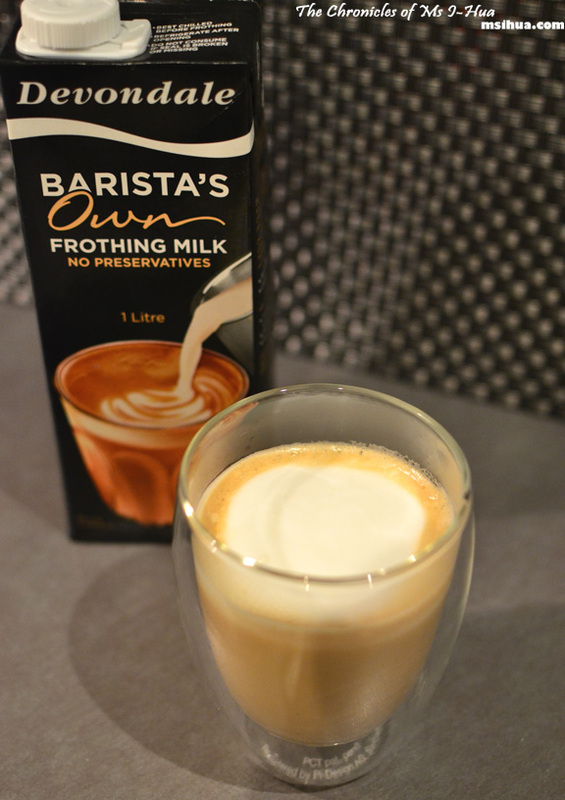 The thickness of the froth using Devondale Barista’s Own is also higher and denser when compared with chilled milk. The texture between the two froths were slightly different with the Devondale Barista’s Own creamier and smoother in consistency as opposed to the normal full cream milk. I would like to clear something up here. I know a few people might say that long life milk taste distinctly “odd” when compared with fresh milk. I can dispel that misconception here now folks and honestly say that Devondale Barista’s Own does not taste as if it has been tampered with nor “funny” in any way. It tastes creamy and clean, just like how milk should taste. The fat and protein level in Barista’s Own is suited for frothing – the right fat & protein level ensures a smooth creamy froth is achieved. If you are concerned that this means there are preservatives, think again. 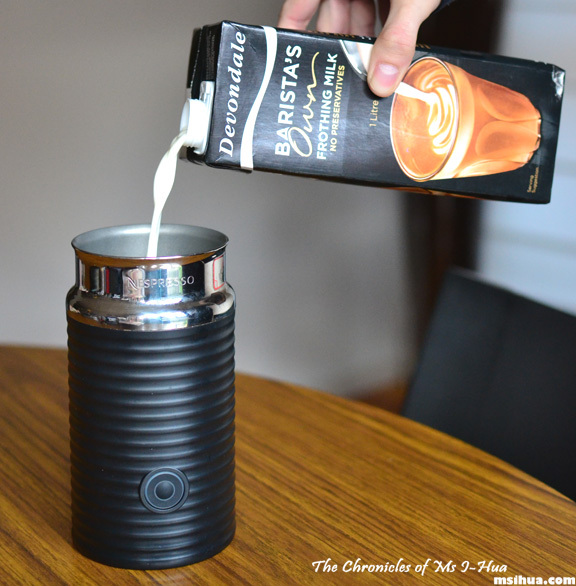 Devondale Barista’s Own does not contain preservatives and is with all milk, naturally gluten-free. The only difference between LLM and milk from the fridge is the heating process. Read more about it on Dairy Australia and don’t be misled anymore! The Boy and I are already thinking of new recipes (not necessarily coffees) in which we could incorporate the use of this frothing milk for. MmMmmmm…. *Please leave a valid email address in the email box (emails won’t be published) as a contact point. Competition is open to all Australian residents, aged 14 years and over, other than management, employees or contractors of the Promoter and other agencies, firms or companies associated with the Promotion (including suppliers of prize), and their immediate families (“Eligible Entrants”). The competition closes Thursday, 23rd August 2012 at 6:00pm (AEST). The top three entries will be chosen by me (so be creative!) and the winner will be drawn by Nuffnang Australia. Results will be published on this post. The most creative answer overall** across the 5 blogs for the weekly competitions will win (leave a creative comment each week to better your chances) this awesome giveaway! Competition for the major giveaway will run from the 14th August 2012 until 11.59pm Friday 7th September 2012. The winner will be announced and contacted on Monday 10th September 2012. Thank you to everyone who signed up, liked my Facebook page and left a comment here. OMG OMG OMG OMG OMG 🙂 So excited! Frothing MILK!!! 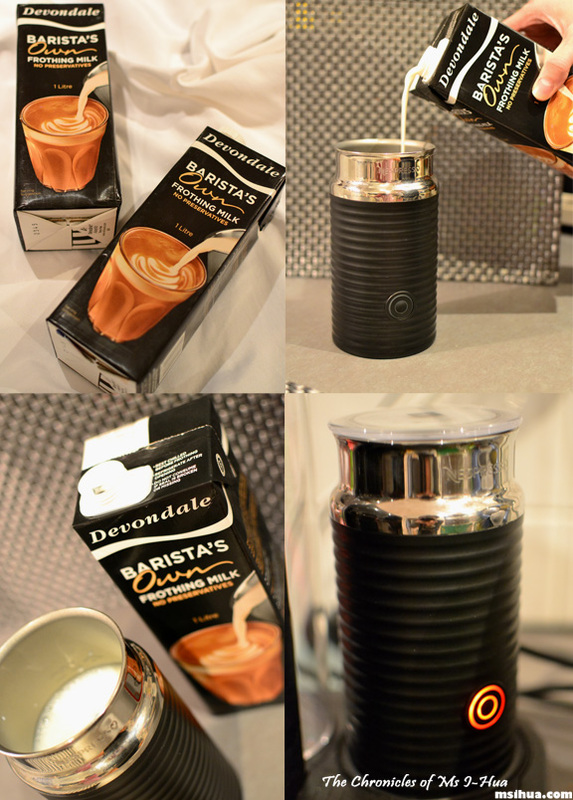 That’s so cool 🙂 Can’t wait to get my hands on this too~ And i have the Nesperesso at home as well and LOVE the nifty milk frother! Thanks for the opportunity to win Ms I-Hua! That sounds like an awesome breakfast! Well, as much as I love how fragrant and aromatic coffees are, my heart palpitates every time I have a cuppa so I often settle for a mocha instead. But I do love a cuppa latte. I would so pair it with a big brekkie, or even just bacons and poached eggs on toast! Really? Palpitates? You just need to build your caffeine tolerance up! looks like i need to step up the ante to win this..
so it should be a double ristretto latte (hopefully that means i just take the first half of each shot property) and instead serve it with the usual breakfast, i will pair it with some slow braise beef which has been cooked with latte and maybe top it up with an espresso glaze (all coffee made with the machine of course..
OMG.. I really like your idea!!! Oooh I love frothy milk! Haha, when I get my hands on some of the frothing milk the first thing I’m going to make is a few cups of mega-babycino’s (because the ones at cafes are NEVER big enough to entertain the kids for long) so THEN I can make a mochaccino for myself to enjoy! 😛 Does that make me a good mummy or a bad mummy??? Oooo… I haven’t… I shall go try! the most amazing drink that will have unicorns and dinosaurs, stirred in with a little chimpanzees, and a dash of chilli for luck, and then topped off with froth milk. Or I could be boring, and make cups and cups of chocolate foam and eat that all day. 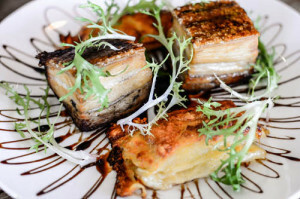 Celeste @ Berrytravels recently posted…Eating Out: Brown Dog Cafe, Goodwood, Adelaide. I would have to make cappuccinos and babyccinos filled with so much froth we would have competitions as to who has the biggest milk mustache. All enjoyed along with my homemade lime and blueberry friands. Holy, this is so handy. I’ve never made a coffee, guess I’ll just start from the basic latte. Forgot to pair it with a dish, probably with a bagel with berries and mascarpone mixture. 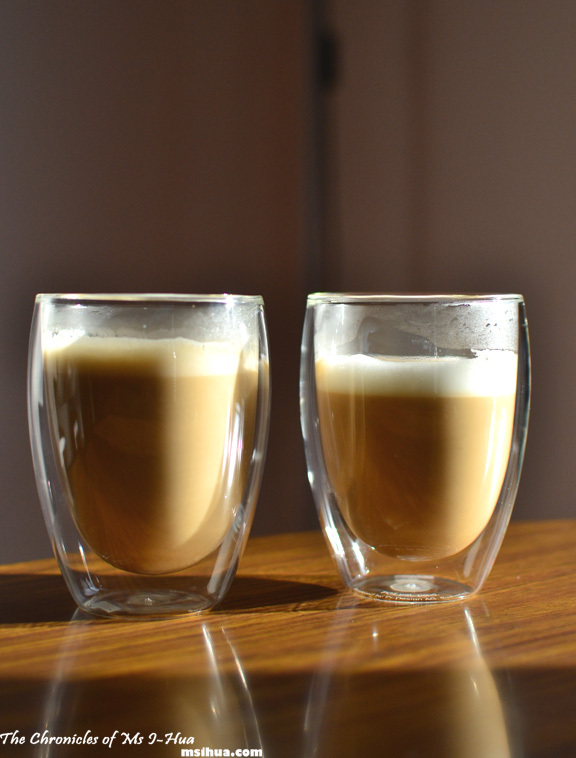 If I received a carton of that wonderful frothing milk, the first coffee I would make would be a cappuccino (because it has the most froth and because it’s easier to play with the coffee art) with a drizzle of almond essense or vanilla extract and a good topping of cocoa powder. I would then pair it with a dark chocolate and raspberry macaron or a pot of oozy chocolate pudding. I’m making myself salivate. *wipes drool away*. OMG you have me drooling too! Fairfax ForeverCurious Campaign – Silo by Joost, “Just a Cafe” + Giveaway!